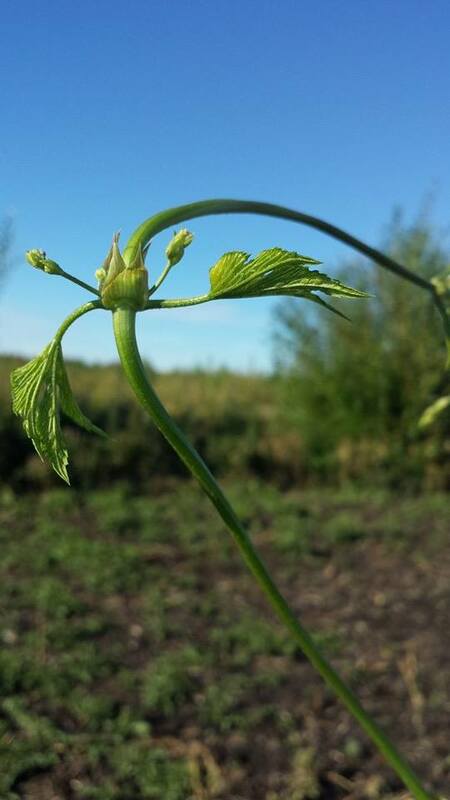 Fresh, fragrant, local and sustainable hops and responsible and respectful land use. This is the intention behind the Central Alberta collaboration between Jasmine Travers-Charbonneau and John Mills in developing the small-scale hopyard, Bright Bine Farms. To learn more about John Mills and his family’s other agricultural ventures, check out Bowden Sunmaze, Eagle Creek Farms, and Eagle Creek Seed Potatoes. Jasmine is a first generation farmer who had the opportunity to work at Eagle Creek Farms for the 2014 CSA season, expanding a passion for growing high quality veggies. Aside from the hopyard, She and her family have a small urban farm in Red Deer.